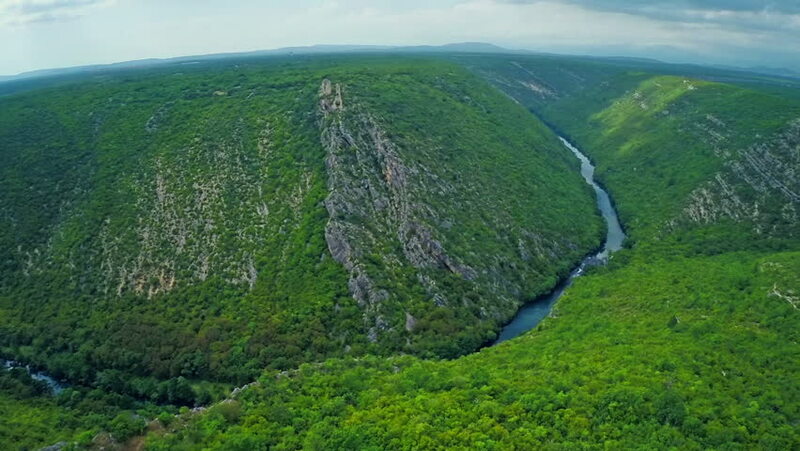 Copter aerial view of the Krka river canyon from the west side of mountain Promina. 4k00:09Scenic of Mountain on heaven above the ground. Good background for you to put text or people on the ground.